Since I forced everyone to go through Inkblot withdrawal on Friday, here’s some bonus catblogging for you. 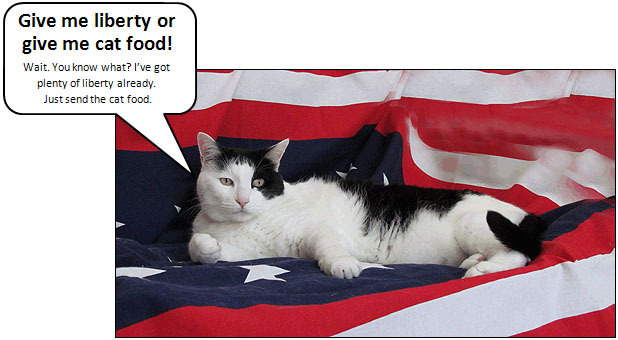 This year Inkblot is decked out in all his patriotic finery (i.e., a stars-and-stripes themed tablecloth that now has to be laundered before we can use it for tonight’s festivities) and expressing the sentiment on every cat’s mind when they think about the greatness that is America. Happy 4th, everyone!